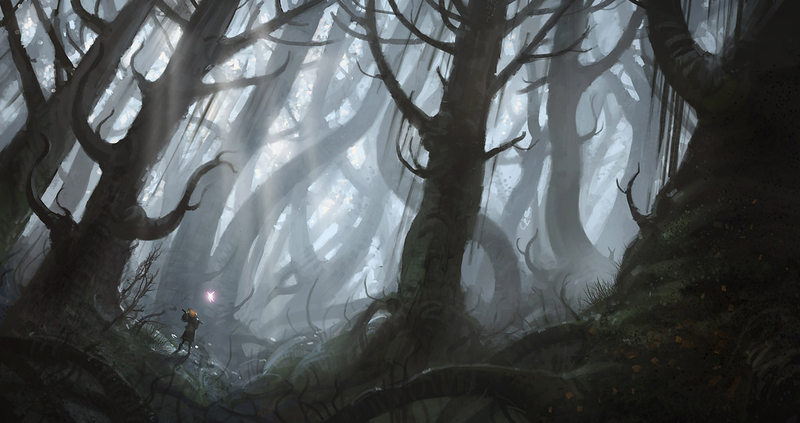 The Fangwood is a large forest that covers much of Nirmathas and Lastwall. The Nirmathi see the Fangwood as vital, both for economic and a hiding place for soldiers in border skirmishes with the nation of Molthune to the south. The forest is primarily a mix of fir, spruce, and maple trees. The deeper reaches are often full of fir; the shadows and still air seem to cause travelers to be easily spooked. The underbrush is thickest in the spruce-dominated sections, but these areas do not cause the same feelings. The heart of Fangwood suffers from a corruption known as the darkblight; a fungal infestation that kills trees and twists animals. Druids based out of the town Crystalhurst work to combat this strange phenomenon as best as they can, but the source of the corruption is yet unknown.